Sun City Hilton Head offers amenities including 4 pools, 2 fitness centers and 54 holes of golf. Many people like the idea of living in a resort town but don't want to feel like a full-time visitor. That's never a worry with Sun City Hilton Head, a premiere South Carolina active adult community. 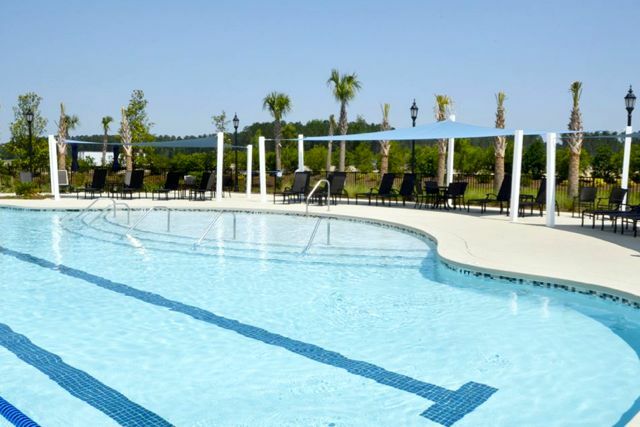 Just outside Hilton Head in Bluffton, Sun City Hilton Head offers all the benefits of living near a resort town, yet also offers its own collection of world-class amenities and exciting social activities. 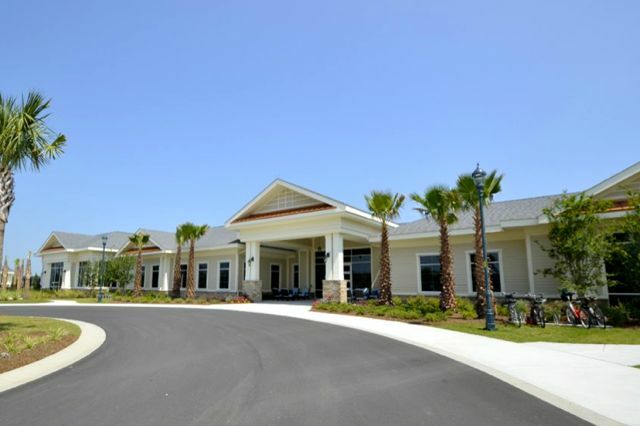 With more than 8,000 new and resale homes built by Del Webb, Sun City Hilton Head is the largest 55+ community in South Carolina. Residents can enjoy 54 holes of golf and a smorgasbord of additional amenities that make living in a resort town feel as natural as the native environment itself. The quality-built homes are designed as either single-family or attached style featuring Southern-style architecture that nestles right in, making the homes an extension of the atmosphere. Buyers can choose from literally dozens of floor plans, from the incredibly affordable at just over 1,000 square feet, with one bedroom and one-and-a-half baths, to the truly luxurious, with nearly 3,000 square feet, three bedrooms and two-and-a-half baths. Some homes offer as many as four bedrooms plus a den with three-and-a-half baths that are ideal when friends and family come to visit. Three outdoor swimming pools offer sparkling waters for relaxation or fitness activities. The lifestyle at Sun City Hilton Head revolves around the world-class amenities scattered throughout the sprawling community grounds. From its two championship golf courses and one executive golf course to its own 540-seat performing arts center, residents may never feel the need to leave the premises. The Sterling executive course provides fun, short play that feels more like championship style. The Hidden Cypress course is nearly 7,000 yards of "menacing" greens and rolling fairways. The Okatie Creek course features five sets of tees and enough variety for either attack- or relax-style golf. Aside from golf there is an endless variety of health and wellness options available at Sun City Hilton Head. Residents can choose from three fitness centers with premium equipment, six swimming pools (including one indoor pool), 10 clay tennis courts, pickleball and bocce ball courts, croquet and volleyball and softball venues, plus classes and programs galore. Those who crave clubs have plenty to choose from as well with options like Model Railroaders, Photography, Kayak, Table Tennis, Car Lovers, Amateur Radio, Money Talks, Genealogy, Skywatchers and many, many more. Hungry? No worries there. Sun City Hilton Head has two on-site restaurants. Want to work off that tasty meal? Head for the miles of raised boardwalks that wind through the beautiful South Carolina natural environment, or the community's many other trails for biking and walking. Even the rest of the outdoors area at Sun City Hilton Head has been developed with South Carolina active adults in mind. The neighborhood, built on 5,000 acres of woodlands and lagoons, has a 20-acre fishing lake, gardening plots, playgrounds for grandkids, a pet park, a large picnic pavilion plus RV and boat parking. When residents are in the mood to step out, Bluffton brings the best of South Carolina with plenty of shopping and dining options, plus great activities like Blues & Brews, Shag & Drag, farmers markets and more. Hilton Head's beaches, golfing and festivals are all just a few miles away. Take one look at Sun City Hilton Head, and you may just stop looking altogether. It's the perfect blend of home and vacation for the ideal retirement destination.